Captains Motivation; Club Captain Tommy Foley expressed his gratitude to all members for their prompt payment of subs and to all the volunteers for their continued diligent work on the course. He also expressed his motivation to all members and visitors to take the opportunity on every fine day to play the game of golf due to the continued uncertainty with weather. 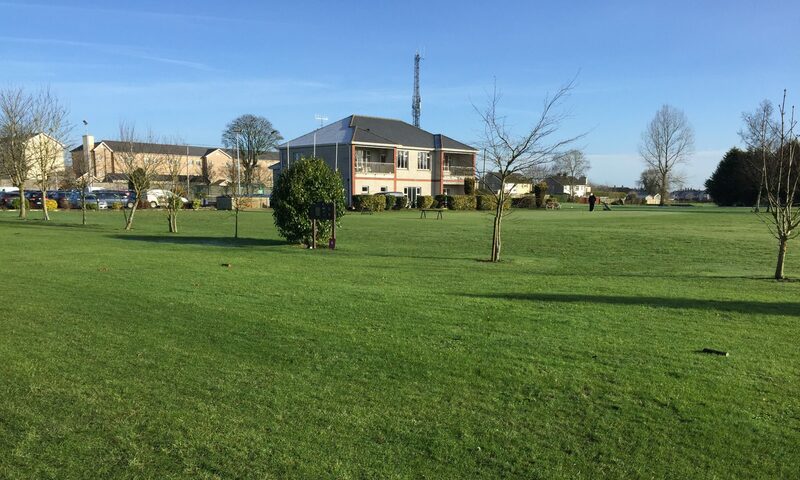 Templemore Golf Course is a wonderful amenity to Templemore and the midlands and all golfers near and far should take advantage of playing this wonderful 9hole course any time that suits the player. Beginners are more than welcome. Just come in, sign up and play. J.B. Carr Tournament; Templemore Golf Club was to host the Thurles Golf Club on Thursday the 26th. April at 3pm. The event was postponed and deferred to last Monday 30th. April at 3pm. Results will be in the next issue. The Spring League; The spring League is having a great response . The 4th. leg will commenced on Sunday 29th. April. The scoring is still showing that the finish will be very competitive. The competition Secretary Liam Leahy has requested that all listed in the competition to complete their rounds as soon as possible in case the weather breaks again. So don’t delay, and support your team by re-entering as many times as possible. Keep checking the notice board in the event of changes. Lee Valley Invitational; Celebrating 25 years. 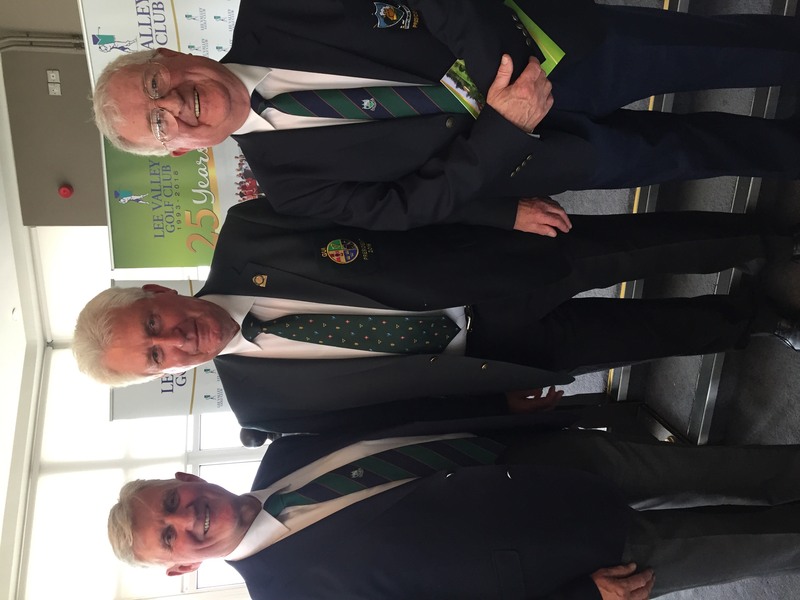 Lee Valley Golf Club invitation to all Munster Captains and Presidents was represented by Club President Phillip Ryan Snr. and Club PRO Tony O’Toole (2017 President) deputising for Club Captain Tommy Foley. On arrival you get to gaze over an amazing panorama that stretches across the golf course, over the Lee Valley itself and from there to the Galtee Mountains in the distance. We were then generously welcomed by a friendly and refreshing Lee Valley Captain Brian O’Donovan. We felt very honoured to sharing this milestones achievement by Lee Valley Golf Course. The greens were unbelievable. They are so undulating fast with a good surface it made it difficult to get to the pins. Lee Valley Captain Brian O’Donovan thanked all from Munster for their support on what was a wonderful weather blue sky day. 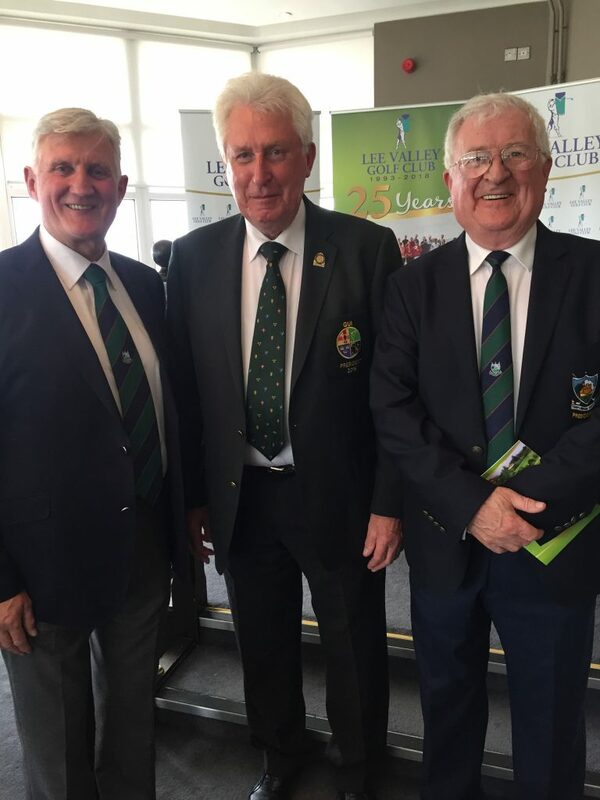 He also thanked GUI President John Moloughney (Templemore) for his presence who in turn praised the club for their endurance over the past 25years in developing this wonderful Golf Club facilities. Playing Golf in Templemore 9 hole Golf Course has great advantages; Templemore Golf Course is available to all golfers, members and non-members and members from other clubs to get in your practice rounds, beginners, Active Retiree’s and families who want to take up the sport will get assistance from any committee member, (refer to web site for committee member list) here are some positive reasons for golfing in Templemore Golf Course; Golf can be good for your health and your heart. Walking an average course for a round of 18 holes of golf can be between five to seven kilometres. If you walk 18 holes three to five times a week, you’ll get an optimal amount of endurance exercise for your heart. If you pull your clubs or carry them, you’ll burn even more calories each round and benefit even more. Playing golf regularly can help you: Stay fit, Improve muscle tone and Endurance, Lose weight and body fat. 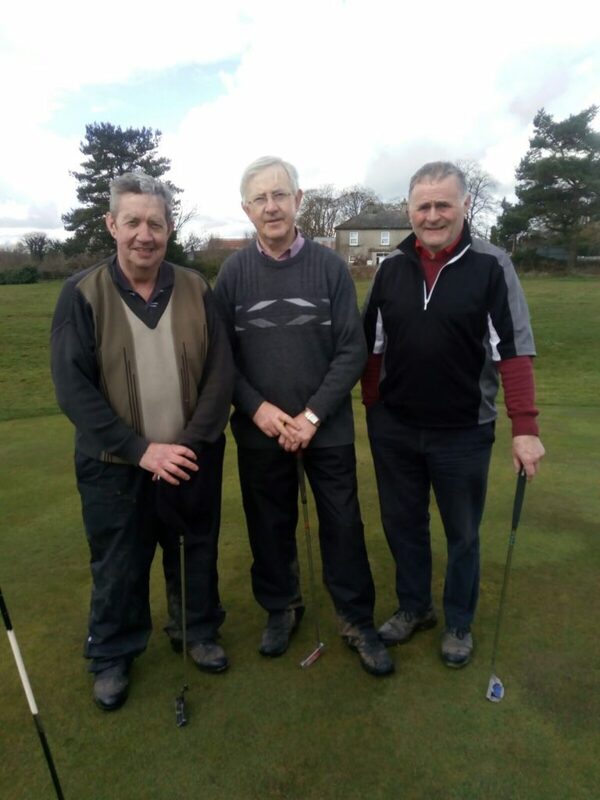 Golf can also be a great way to keep in touch with friends, help in reducing stress as a result of the physical activity and also due to the pleasure of walking in an open and natural environment, provide opportunities to meet new people, help develop a sense of community connectedness. Golf can be a very social and enjoyable sport. While you compete against others, you can also compete with yourself to better your previous best score. Templemore Golf Course provides Good Social occasions, Presentation Nights, Social Mixed, Senior Events and Away Trips. The Handicap System allows members of different abilities an equal chance of winning. Various Category of Memberships are available at different rates. (Membership option rates are on our web site). Full Annual Membership €350 = Approximately, only 95c. per day. New members are the lifeline of the club, so all existing members are encouraged to tell all your friends to take up membership and test their skills on this challenging Golf course. Registrations Forms for new members are now available on-line on our web site, or at the club house or contact Martin Bohan 087 0509278 or any of the committee members. All are welcome. New Members; All current members are encouraged to introduce at least “ONE NEW MEMBER” Lady or Gent, Junior or Student, Senior or Family, Active Retiree’s or any person interested in taking up the sport. It will be a huge advantage to building the club membership. The Seniors; Had a fantastic Away Fixture last Tuesday 24th. April in Tipperary Town; There was a huge attendance despite drizzle weather. The scoring was very high and very competitive. The Club House conditions and warm attention by all the staff made all very welcome. The meal was second to none. Also the banter and craic was as usual, second to none. We also had a special guest Rev. 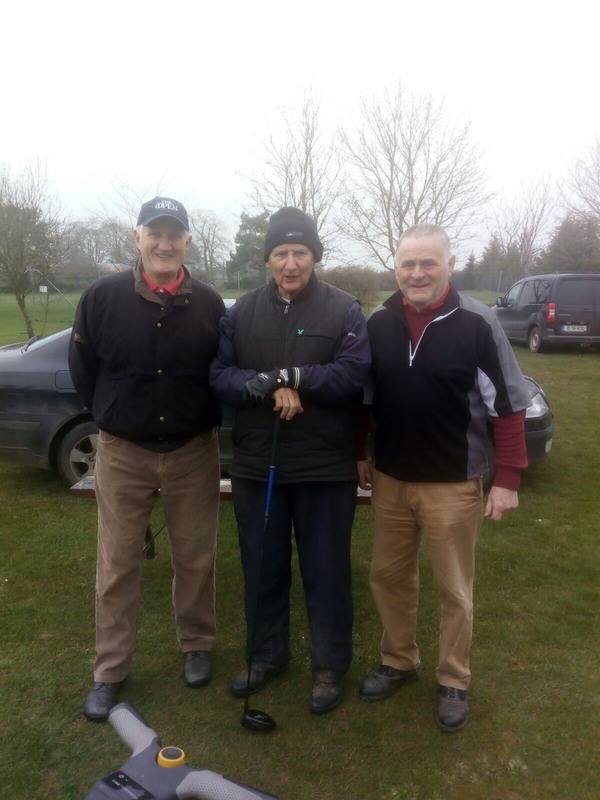 Father, Canon Eugene Everard who paid tribute to all and was delighted and a pleasure to be amongst the Templemore Golfers again. Also our club Captain Tommy Foley expressed his delight to be amongst a great band of likeminded golfers with a bond and enthusiasm that defies the elements. A special thanks also was expressed to Centenary DIY Templemore for their generous contribution to the prizes. The event was made possible by Rody Cawley. His determination and work ethic in pulling it all together was outstanding. Also thanks to the Seniors Committee. A lot of work goes into the organisation of these away events by the Senior Committee to give everyone a great day out of Golf. Do support this hard work for future events. The winning team was; Tom Connelly, Frank Lysaght, Jerry Keegan Snr, Mick Keely. Seniors Results; Thursday 26th. April. There was a great turn out of seniors after the endurance of 18holes in Tipperary Town on Tuesday 24th. Just goes to show that the seniors are a hardy bunch of committed golfers. 1st. Team; Bertie Keane, Pascal Whelan, John Mullaly. 2nd. Team; Mick Murphy, Seanie Gleeson, John Galvin. 3rd. Team; George Collins, Pat Costello, Frank Shortt, Pat O’Connell. Next Senior Fixture; Thursday 3rd. May will be at 2pm. Tee-off. Check in time no later than 1.30pm. due to Active Retirement Meeting AM. Bunkers Revamped; There was great work done by the volunteers on the bunkers by raking and weeding. Work still needs to be done so “Just call in and get on with the work”. This work is very important as it will continue enhance the condition of the course for the coming year. Your Swing Thought ; “Forget the last shot. It takes so long to accept that you can’t always replicate your swing. The only thing you can control is your attitude toward the next shot.” – Mark McCumber. J.B. Carr Tournament; Templemore Golf Club will host Thurles Golf Club on Thursday next 26th. April at 3pm. The team Leader is Liam Leahy. Liam has listed his potential players on the notice board in the locker room. He requests that all potentials make every effort to attend. Anyone 60+ not on the list that feels they have the potential contact Liam Leahy 087-4115773. This popular event has effectively become the Senior Club Championship of Ireland (Over 60’s) with some 200 or so clubs from every corner of Ireland participating. The semi-finals and finals are held each year in Woodenbridge Golf Club, usually over the second weekend of September. The format for the tournament is Scotch Foursomes Matchplay with each participating club selecting 10 gentlemen members over the age of 60 (playing off full GUI handicap + courtesy shot to the away team). The teams initially compete at county level and then for their provincial title. The four winning provincial teams then travel to Woodenbridge in September for the All-Ireland finals. One of the great features of this competition is that it brings together clubs that might not ordinarily meet. Please note that the combined handicap limit is 30. The handicaps (on 01/01/2018) of each pairing shall be combined. The Spring League; The spring League had a great response during the “Summer” weather last week and at the week-end. The 3rd. leg has been extended for one more week. The scoring is showing that the finish will be very competitive. The competition Secretary Liam Leahy has requested that all listed in the competition to complete their rounds as soon as possible in case the weather breaks again. So don’t delay, and support your team by re-entering as many times as possible. Keep checking the notice board in the event of changes. Away Fixture; Tuesday 24th. April in Tipperary Town; This is always a great venue with a meal provided and all are requested to have their payment on Thursday 19th. A lot of work goes into the organisation of these away events by the Senior Committee to give everyone a great day out of Golf. Do support this hard work by putting your name on the list. 29th. April; 1st. Team; Joe O’Connell, Pat Costello, John Mullally, Mick Murphy. 2nd. Team; Goerge Collins, Mick Carey, Pascal Whelan, Mick Maher. 3rd. Team; Sean Lee, Mick Connell, Pat Connell, John Galvin. 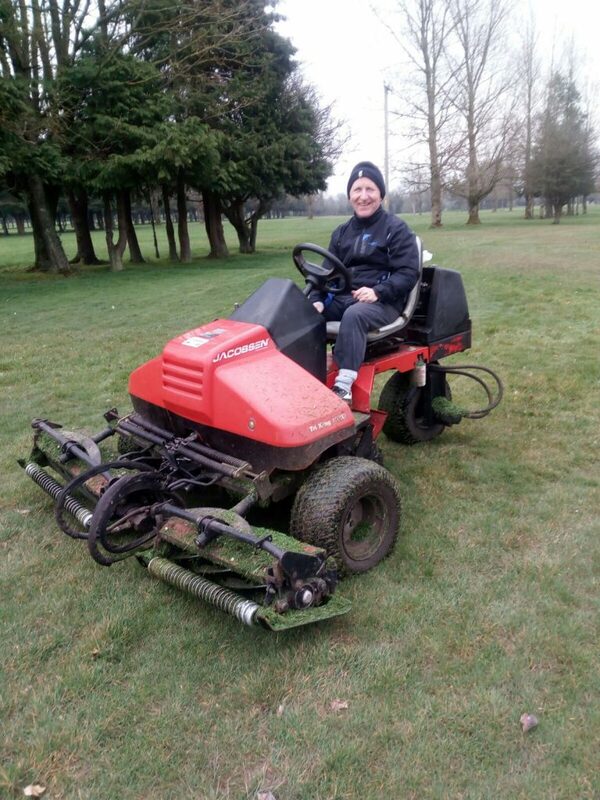 Bunkers Revamped; There was a great response to the call-up by our Captain Tommy Foley from volunteers to remove the winter look off the bunkers by raking and weeding. Work still needs to be done so “Just call in and get on with the work”. Great work is already evident on some of the bunkers and some heavy work is now required on some of the weather beaten bunkers. Additional sand will be put into all bunkers once they are ready. This work is very important and will also enhance the condition of the course for the coming year. JB Carr Tournament; Templemore Golf Club will host Thurles Golf Club on Thursday next 26th. April. At 3pm. The team Leader is Liam Leahy. Contact; 087-4115773.